Eight months ago, I made a deal with my best friend. This wasn't your typical pact. No, we had to take a different route. The deal was that if we were still single by fall, we would join online dating. Yes…now I am that girl. Just me, though, because she met a guy and saved herself from the awkwardness of dating people you meet via the Internet. Cheesy pick up lines. Inappropriate messages. Disaster dates. I don’t want to be "Savannah, profile 8713," but a pinky promise is a promise you keep. What I wasn’t counting on was meeting a guy at the local bar. So what happens when you decide to open yourself up to new opportunities? You might just cross paths with someone who makes you believe in love. Parker Wilde brought out the best in me and understood the worst, but when an amazing opportunity presents itself and our lives take different directions, is being sweet on Wilde enough for us? 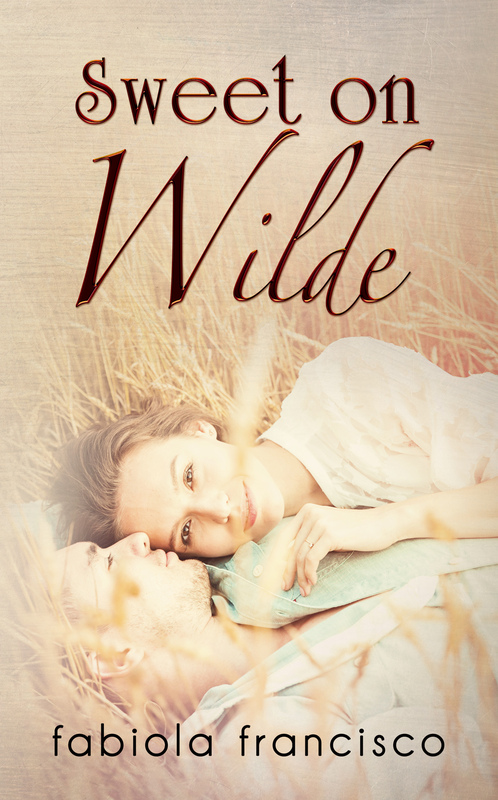 To take a word from the title, Sweet on Wilde is a sweet story. This is a story about finding love when you least expect it, about working hard to let that love grow and making difficult choices because you love someone enough to want their happiness. Sweet on Wilde is a story that any good southern girl might compare to molasses. It is a slow sweet story that takes it's time and fills your heart with happiness. I enjoyed the relationship between Parker and Savannah, it felt real and well developed. This is not an insta-love, which is a nice change of pace for romance stories lately. After making a pact with her best friend Savannah finds herself entering the world of online dating and ultimately leads her to cross paths with a true Southern Gentleman, Parker Wilde. I adored Parker from the first moment we meet him, he's cocky but not arrogant, handsome but not otherworldly, he's a gentleman but an alpha male when it counts *waggles eyebrows*. He's a guys guy and a girls attainable dream. I struggled a little to like Savannah but I think that comes from my life experiences of separation (Army Wife) and her struggle to think that relationships can't work between distances, sadly because of this she came across as a bit whiny to me. I think however for most people she would just be found to be an incredibly kind and gentle soul who sis struggling to deal with a difficult situations, finding love and keeping it. Together they make a great couple. It is difficult to describe this book as anything other than a sweet romance. I enjoyed the concept of the pact of online dating between Savannah and her best friend and I liked how it brought moments of humor into the story but sadly I think it either could have been left out all together or more fully developed. With that said, I still enjoyed the book as a whole. I would love to see a few of the characters we met come back with their own books. I think this is a great beginning and Fabiola has left a wonderful future open for more from these two characters (even with the epilogue) or from her secondary characters. This would make a nice light summer read, perfect for the poolside or beach. There isn't some mega drama that is going to get you worked up, yes there are moments but no big huge blow ups that make you gasp or want to crack skulls, haha. It's really just a wonderfully told story about two people and their friends, it feels honest and real. 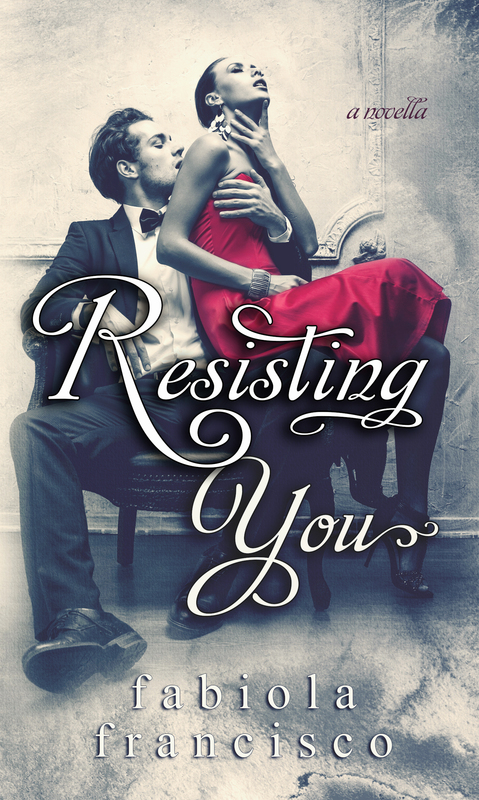 If you are looking for that sweet romantic read that is a slow quiet build to get you swooning this is the perfect book for you! The music blasting from the speakers draws me, and I move my body to the beat as I sit by the bar facing the dance floor. Although Southern is a more laid back bar, it has a small area designated for the patrons that want to dance without feeling like they’re disrupting the flow of the service. “Let’s go dance.” Parker is eyeing me mischievously, obviously enjoying as I move to the music. The stress he came in with has now totally eased out of his body. He is back to his relaxed, confident self. “It’s okay. I’m fine here, not much of a dancer,” I lie because the thought of dancing with him throws me off. “Really? You haven’t stopped moving. Come on,” he reaches his hand out to me. Taking a moment to watch him as he stands before me with his hand out, I can appreciate how good-looking he is. I take his hand and let him lead me towards the small crowd dancing in the center of the venue. “Sweet Home Alabama” begins to come through the speakers, and as soon as everyone hears the familiar introduction, they get in position, ready to dance the steps taught to us from a young age. In perfect unison, we all begin the line dance, looking like something out of Footloose. As I’m turning with the beat, I notice Parker beside me, following along without missing a step. I look down at his feet, and smile, shaking my head. Two more songs come on, each with its own line dance to accompany the music, and we all dance. The next song that comes on is a slower one, so I head back to the bar in need of a cold beer to cool down. Line dancing always gets me excited but it can be tiring. Before I make it out of the crowd, an arm jerks me back and turns me. I’m facing Parker, his smile causing my heart rate to speed out of control. “One more,” he says, beginning the two-step to Billy Currington’s lyrics. Leading me around the dance floor, Parker is confident, his grip on me firm as we move through the other people dancing. He chuckles, his grip tightening around my waist. “I may not be from Tuscaloosa, but I am a southern boy, Savannah.” His drawl heavier, making his point. 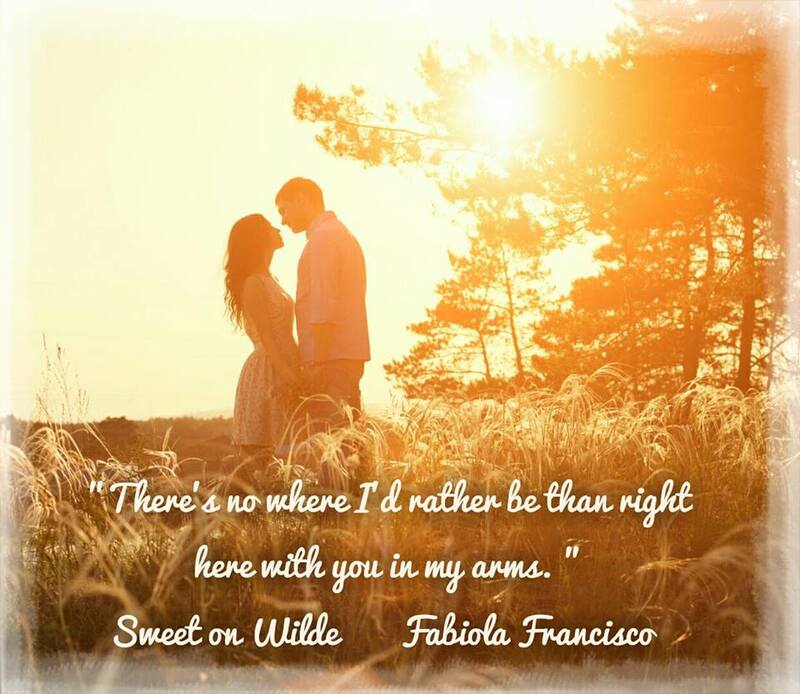 Fabiola Francisco is a contemporary romance author from Miami, FL. She has always enjoyed writing. When she was young she began writing creatively. It was always a therapeutic way for her to express herself. She began with poetry, and throughout the years went expanding to short narratives until she finally decided to write a novel. Her love for books has inspired her to write her own stories. Her books range from emotional to lighthearted humor. She is a firm believer in happily ever afters and the sometimes jagged path to achieving it. She hopes to continue writing more stories to reach readers individually. When she's not writing, Fabiola loves expressing herself through art and being out in nature. She loves to cuddle with a good book and a glass of wine.